Why Do They Call You Killer? I have thus far not written any essay that is patently political, but I think it is time, in the name of fashion, to cry out! I have waited — for the first signs of major clothing retailers offering up the Basics — the timeless classic designs worn by Melania. Ivanka is another design matter. She’s not my style, or an easily-imitated style, but she, and Melania, certainly are not deserving of the assault rounds of ire fire they have been receiving from catty girls around the world. Aren’t Women supposed to support each other? To this day, I see no large retail companies flocking to copy the truly authentic and simple, elegant look of this First Lady. Previous First Ladies put their mark on American apparel retailers early, and often, and, for some, forever. Jackie designs still rule the fashion world that is now non-existent in stores, but is plastered all over Pinterest and rating$-grabber Pay-Per-View channels. Nancy did not wear Office-to-Evening; she was just Evening, and high-glam at that. Hillary never left the Office and there was no Evening; Soviet Apparatchik Chick ruled. Michelle sold out dresses within hours, irrespective of the BF Goodrich belt, a single accessory that unfortunately, in spite of her phenomenal color choices and savvy flair, became her signature style. Melania wears a basic trench coat or shirt dress and the only ones sold in stores are so expensive that no one is likely, or able, to buy them. I wonder if that objective is the point. I guess the Personal really has become Political. Macy’s stopped stocking Donald’s ties, with predictable results. Nordies continued its dumb moves by boycotting Ivanka. I think the corporate heads have lost their heads, and I don’t have time to wait for them to be replaced by sane financial decision-makers. JCrew, Banana Republic, Ann Taylor, the whole lot of them expected Hillary to win. And now they refuse to show classic feminine — anything. It’s as if the entire female working world is supposed to show up at the Office clad in The Uniform: a Corporate Suit. With a ruffle attached to the sleeve. Or hinged on the bottom of a skirt somewhere. A woman is allocated one ruffle. And I speak as a woman who can wear, at most, one ruffle! When you can wear ‘em, flaunt ‘em! The idea of choice, the concept of being free to be who you are: toss’em overboard when it comes to a truly feminine woman like Melania. The fashion police and their hypocrite-freak show theme, Coming Unhinged, have not created pretty sights in the world, fashion or otherwise. I am looking away! 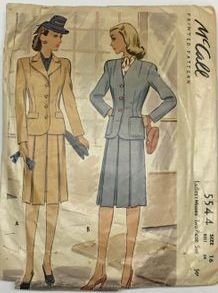 I have decided to look toward vintage patterns. I scooped some up recently. Vintage is BIG for online sales. Vintage clothing and vintage patterns for clothing are a huge growth industry on Etsy and elsewhere online! Shops were set up just within the past year. I wonder why. 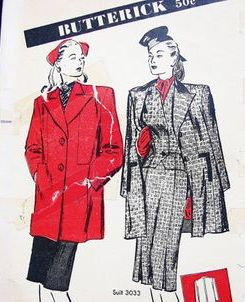 There are some 1940s Vogue patterns for sale that are worth simply looking at! The styles and sensibilities of that decade would be strikingly copied by designers of every successive decade, without much thanks given to women of that era by women of future eras. The Real Modern Woman had her hey-day during those war days, and nights, but few women today recognize or realize, much less reward — those pretty profiles in courage. 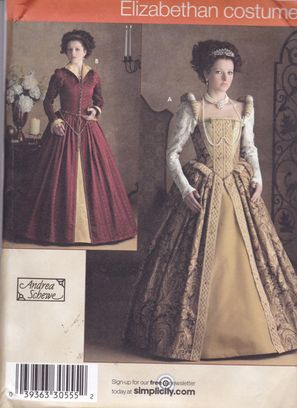 The stated sizing for any vintage pattern from about 20 years ago ranges from 8 to 10 to 12 to 14. It’s a scissor-hands roadmap of concentric curved lines on pale brown tissue paper. I recall the sizing got to be that way in the 1990s, at least in America, as bundles of synthetics encroached more and more upon bolts of natural fibers in more and more fabric shops. Walking into some of them became Toxic Fume Events. I swooned, not at the sight of the fabrics, but the odor of them! Fashion tragedies for women have existed for centuries. All the world’s a stage. Some costumes play out their parts better off-stage than on. Certain decades and epochs, however, come to mind, at least to my mind. 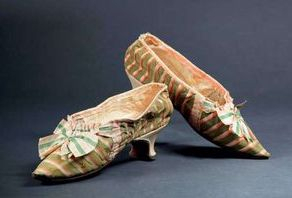 One look at Marie Antoinette and those shoes, and we immediately understand her fate. The corset needs no explanation in terms of health hazards for women. Women nonetheless persisted in putting themselves through their own punishment by wearing those devices of anoxia. The Warning Label would have had no deterrent effect upon their desire to achieve a certain look. My grandmother, born in 1888, never wore a corset, but she was a bit of a rebel, a virtue she must have passed on to me! The Jackie Years when classics with individual style were re-discovered and celebrated. And The Flower Power Decree of the Mod Squad, a seemingly endless phase, much like the never-ending adolescence of the Hippie Boomers. Those Fashion Police put a grinding halt to the celebration of any true fashion by patrolling the enforcement of Copycat Conformist Fashion, especially for the under-30 crowd: No one over 30 was to be trusted, until the Hippies, who invented the slogan, aged, but did not mature, to that ripe numerical age — 30 — When It’s All Over. The 1970s brought a riot against rules in everything, except for even more Hippie-Boomer Fashion where even more Rigid Rules had to be followed, to the T, the Message Tee-shirt T. Non-compliance with the prescribed length and proper acid-washed shade of blue jeans took on the force of a code violation. “To not fit in” was the ultimate sin. Fashion then further declined toward The Carter Malaise. 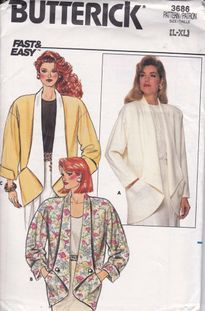 The 1980s brought a return to structure in women’s clothing, courtesy of designs from the Dynamic Duo of Dallas & Dynasty : the sectioned-off anatomy in dresses; tapered pants that did not easily permit muscular ankles to enter into them; blouses and jackets that flowed like shiny fluid shields of conquest due to their fabrications of Polly and her sister, Ester; the Power Suit; wide lapels from hell; shoulder pads that even Joan Crawford would have found menacing. Forget nuanced shades: saturated colors, bold colors, lavish colors were all inescapable. And, yes, I did try to escape them! This one-two-punch of dueling soap opera frocks nearly did in the world of individual tastes for women in clothes and accessories. But, wait! 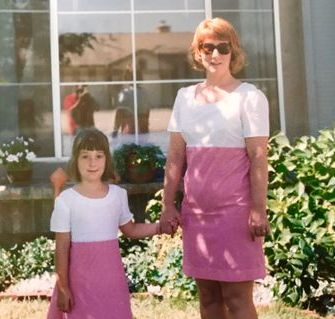 There was more to come for Liberated Gals: the 1990s, a decade of dire duds that nearly put women down for the count. The 1990s were all over the place in terms of women’s fashion, and of consumer tastes. There were a few too many times-they-are-a-changing. 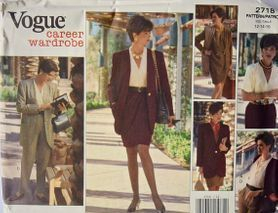 The apex (or nadir) of the Office Worker Uniform for Women appeared, complete with corporate gray men’s suit and tie and the tortoise shell rimmed glasses (that were as phoney as the Carter quarter). Do I dare to mention the ridiculous Reba McEntire music video for “Whoever’s In New England.” Whoever she was, she certainly had no fashion sense: she can have Him! What amazes me is how women go for these awful looks. The 1990s were the worst. The global-manufactured start of the New Era, the New World Disorder, the Post-Cold-War World of Wow, made me wonder what I was going to wear. The ‘90s were a large part of why I took to my sewing machine, with almost as much vigor as some vituperous women of that era taking to the hustings. It felt wonderful to design my own fashions! I had definite notions about notions. I experienced affectionate adoration toward trims that rivaled any sentiments toward the male of the species. And I loved making clothes for little Darling Daughter! 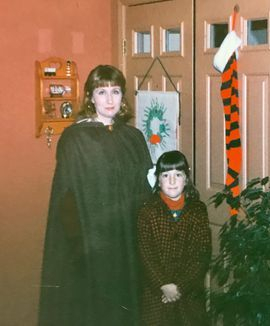 Blissful and busy were the days and nights of stitching dresses with darts and zippers and collars and cuffs; coats with over-sized pockets and buttons; tartan kilts with the big oversized, gold decorative safety pin; and, oh, the jumpers! I wore holes through those jumper patterns from so much straight-pinning! During the decade of the dreadful 1990s, I dutifully and delightfully sewed away the hours on my beloved Montgomery Wards sewing machine — to the point where the heavy-duty motor wore out. I took Monty into the repair shop of the Montgomery Wards store (another U.S. retail company that bit the dust). It was incredibly expensive to replace the motor and to provide for periodic servicing. (I took better care of my sewing machine than any of my junker cars.) I was forced to replace the Full Monty. And there were so many memories attached to that machine! Perhaps the most lively memories arose from the two dead mice who had holed up in the recessed handle of the storage case that I kept in the closet of the Honeymooner Apartment. I’d saved all of our little wedding keepsake bird-seed bundles in a box on the closet shelf. 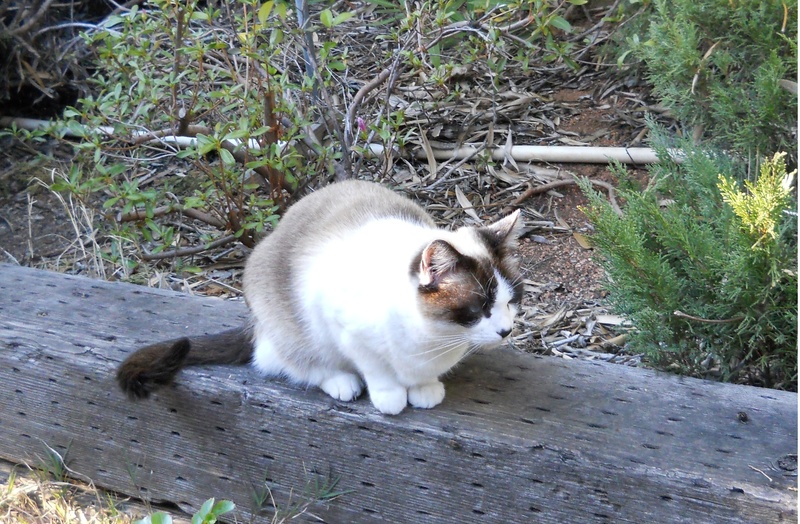 And the mice found their way to all of that bird-seed cuisine. Tossed rice had been deemed hazardous to birds and so I hand-crafted, with mesh netting and ribbon, every one of those aviary-compassionate packets for my wedding. I guess you could say those two mice ate themselves to death. At least the birds were spared a choking hazard. The mice, however, needed water, even during that flood season in California. They did not find water in that closet! There was plenty in the living room though! I called the apartment manager about The Situation, and this woman simply called for removal of the rodents. No Hazmat regulations back then or Moon Suits on the exterminators. After the corpses of Mouse 1 and Mouse 2 exited the storage case, I cleaned it with Clorox and water; then Monty and I merrily continued sewing, creating maternity clothes, crib bumpers, mobile and the Baby Quilt. It was therefore with some wistfulness that I traded in the 1970s for the 1990s, unaware of the somber implications of that deed. During the summer of 1996, I hauled Monty, along with little Darling Daughter, to the local Sew&Vac shop. I recall the German salesman trying to talk me into a very high-end, high-priced model that electronically did embroidery and cross-stitch for me. “I am doing that stitching by hand,” I stated with some incredulity. I’d just started a new counted cross-stitch project. Mr. Pfaff dearly wanted to sell me something new and audacious and expensive. I wanted to buy one of those discounted Cold War machines, manufactured before the Wall was torn down. One of those West German babies he’d had dumped on him that he now had to hawk without much enthusiasm. The debate had become rather protracted between me and Mr. Pfaff over why I did not need or want to computer-program my sewing skills, or pay for the frequent cost that comes with repair and maintenance of what looked to be beta, or first-run, versions of computerized sewing equipment. Mr. Pfaff looked utterly bilious. I thought he was going to throw up! I told this genial gentleman there was a lot of spending going on, too much spending. Basically, the prices of goods and services were being artificially driven up to create a consumer economy. This salesman then stopped hyperventilating and he gave me a better deal on a vintage West German Pfaff, the Old World model I wanted. But driving a hard bargain was not the intent of my argument. I smelled something very weird going on in 1996 during the post-Cold-War NAFTA, Free Trade, the GATT (which reminded me of a machine gun), all of that Global Party City fun that dominated 1990s America until 9/11. The purchasing jamboree picked up again a couple of years later, only to come crashing to a horrendous halt in 2008. In 2006, I sniffed the first whiff of the subprime collapse because of the massive online retail sales of clearanced items that had been vastly overpriced and marketed as “limited edition” — a ploy to create the Stampede Effect among women. I scooped up some high-quality merchandise back then, including clothing and accessories, the types and quality of which have yet to return to see the light of a new day. A decade later, the replacement goods are shockingly worthless and are still over-priced. In my seamstress opinion, the dearth of well-made, high-quality clothing began with those horrendous trade deals of the 1990s and beyond. And now I wonder, What’s the deal with the clothing for women that is still abysmal in quality and outrageous in price? There are many sad facts about American female consumers. I will address just two of them. The first is that too many of them are willing to buy cheap clothes that are basically disposable and were made in foreign countries. That proportion of the American female population has always been with us; they’re not about to vanish with better times. Good times will just give them all the more money to buy more junk clothes and to go through them like junk food. The other sad fact about the American female consumer is more insidious: American women are, for the most part, willing to pay more for the same basic piece of apparel that is pitched to men for a lot less money. “I Want My Own” is the mantra that has done in the Woman Shopper. The Equality Mania has not been missed by the clothing retailers and marketers (of anything). There is no Separate-but-Equal Apparel for the American Woman. Oh, no. She will pay twice as much as a man for a pair of flannel pajamas just because the Label says It’s for a Woman! For decades, I have worn mens, or boys: shirts, vests, pajamas, t-shirts, work boots, jackets, even boxer shorts — not because I want to be a man, but because I refuse to pay a premium price for clothes that are made just for women — when the matching ones made just for men are cheaper, fit me just fine — and are of higher quality too! 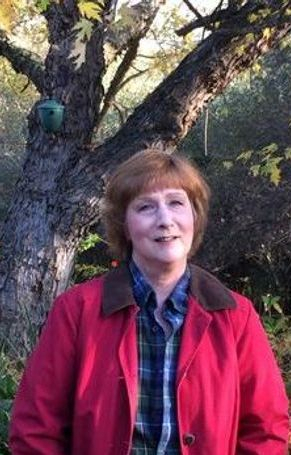 Instead of buying The Boyfriend Shirt, I always borrowed — or took — His to wear! And He said I looked better in it than He did! My preference has always been for women’s clothes, but during the Great Recession — unabashedly feminine clothes disappeared, as did a varied range of styles and the quaint commodity called “natural fibers.” Every clothing store now basically sells the same “look” in three basic shades of rayon (black, gray, blue) and, for that twist of excitement, maroon. The Mass-Marketed Woman appears to be wearing high Victorian mourning attire — updated, just for her, with 5% spandex! Too many American women aren’t paddling their own canoes, and, therefore, they are not moving, in their clothes, or even out of them. It’s a very sorry sight, the spectacle of spoiled-brat females who can’t make up their own minds about who to blame next for their own mistakes, fashion and otherwise. Clothing retailers make a mint off of the mindlessness of the herd following the herd. The Micro-wardrobe is the latest attempt to make a buck off of broads. Clothes in a Capsule — Digital Age Synthetic Threads for Women on the Edge — of utter stupidity. And to be perfectly honest, I must say that the demands made by many American women today — of any industry — are wimpy. They lack substance, and style. 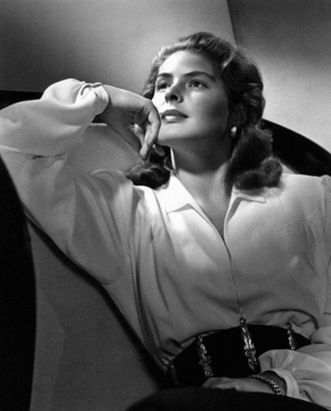 The simple, elegant, tailored white blouse that Ingrid Bergman wears in Notorious is the blouse of my dreams. It’s in my dreams because I highly doubt I will ever find it in real life! I don’t want the zebra midi-top; I don’t want the daring front and back V-plunged black dress; I don’t even want the riding outfit (although I love that hat!). 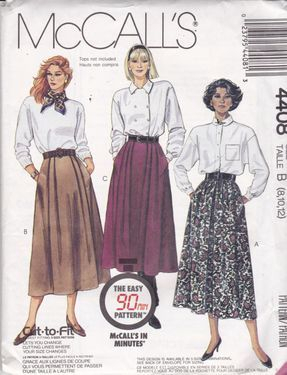 All I want is an elegant natural fiber White Blouse with understated but basic sophistication, ease of movement, graceful flow and maybe a few pearl buttons on each cuff. That garment might be my first sewing project of the future! The Gloria Steinems of the world don’t have this clue: Women are ripping themselves off. Big-time. Stand up and demand quality. Don’t whine about a clothing conspiracy against women. Although I do remember one clothes store called Fashion Conspiracy. One round trip in it, and I knew the conspiracy was against the consumer, but the women there were buying poor-quality dresses and tops and pants left and right! I headed not left or right, but straight to my sewing machine and to the fabric shops — all of which are now out of business. 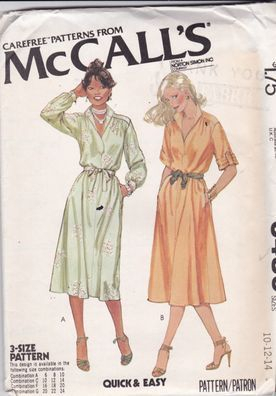 I had not realized HOW MUCH SEWING of clothes I used to do until I sifted through those digital shops of vintage sewing patterns. I designed and sewed entire wardrobes for Little Darling Daughter and myself! The amazement got my creative juices flowing, or stitches sewing, for this essay, and for future sewing projects. A part of me came to life, or came back to life, within those moments of memory, those minutes of discovery. I understood completely the truth that creativity, more than necessity, is the mother of invention. Oh, well, clichés and I never did get along. The innovation and creation of those clothes were accomplished with compelling excitement and the daring drive of initiative, increasing my self-confidence. That priceless assurance spilled over to my children, and to my husband. With his own amazement, he’s said that if I had to drive somewhere to a restaurant, I would complain about the length of the drive. But for fabric — no distance was too far! Traffic patterns were irrelevant, long before the App. Weather conditions? So what’s a little rain? Potholes: California does not know what a pothole looks like — They hold conventions for them in the Northeast! Road construction: Drive around it! Coming through! That productive pursuit of pleasure brings me to the FABRIC, or maybe it will bring the fabric to me. Because, for me, the fabric comes first, then the design. The fabric must “speak” to me — and sometimes it screams. I have been known to buy 4 yards of a fabric that I fell in love with, only to wait years until the right Design comes along and is worthy of the textile. The manufacture of that very essential, natural-fiber commodity — fabric — in the U.S.A. will take some time before I can once again place my lovely little hands on those alluring bolts of material. But I’m patient. The sewing machine is in mini-storage anyway! Although Dear Husband has put it close to the front of the vault! 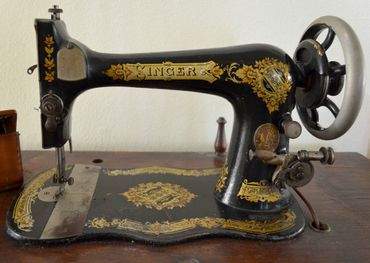 It is most telling that that lowly Montgomery Wards sewing machine, made of all-metal parts, including those wonderful shiny bobbins, handily survived my single-female gypsy life (moving from apartment to apartment to apartment): that heavy machine lasted almost 20 years. 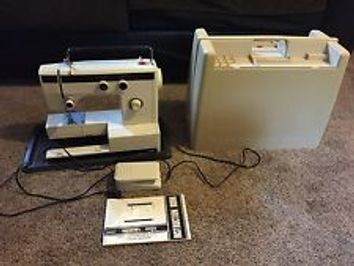 The highly-vaunted Pfaff, with plastic bobbins and other plastic parts and a non-replaceable motor, Mr. Pfaff Jr. conked out in less than 10 years. There exists, in the misty memories of many women, and on the highway-robbery-based Information Superhighway, the black Singer sewing machine. That truly vintage icon did not barely make it from one phase of a woman’s life to the next: it was passed down from one generation to the next generation. The sights and sounds and smells of the sewing machine once filled a girlhood with a lifetime of memories. Those memories must not vanish from the world of women. More than mere threads for clothes are at stake. The ace-up-the-sleeve is the person whom the little girl will be. And if you think that image is easily disposable, you’re not thinking. 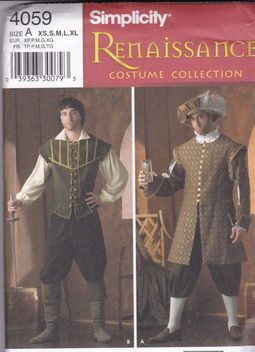 To return to a lighter thread, you gotta chuckle at the patterns of costumes that people can nowadays wear as clothes! The Game of Thrones has changed the wardrobe game! The true Tudor timing of Henry VIII is best exhibited by that costume of the guy all garbed-up for the Next Wife. Time would tragically be running out on her! The least that the marketing staff could have done on that photo shoot was to use a wooden hourglass — not a metal timepiece. (Today he’d be holding the Apple Watch-2.) Perhaps the male in that 1980s pic was making a not-so-subliminal statement — his clock was ticking too, for that male heir! Clocks may still have the same numbers, but some measurements and sizing definitely do not. I attempted to buy some vintage 1960s patterns, including one for the White Blouse! My word! The “vintage” sizing was small! 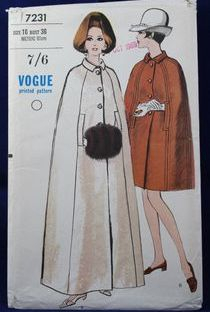 A semi-swing coat pattern from the 1960s was in size 14 — bust 34 inches! Other 1960s sewing patterns were consistent with those measurements: dresses, size 12, bust 32. 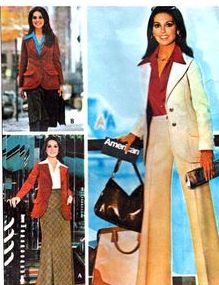 By the 1970s, the sewing pattern of “That Girl” wearing a Suit Jacket, Skirt, and Trouser was for a size 12, bust 34 inches, indicating things were moving . . . up! 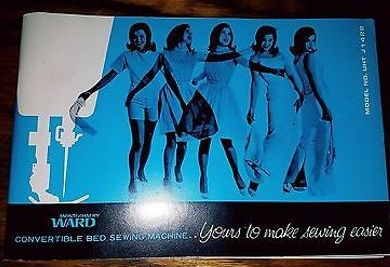 Did only thin women sew their clothes in the 1960s? Women have come a long way, baby — from “vintage” to “vanity” sizing. And now nothing fits! 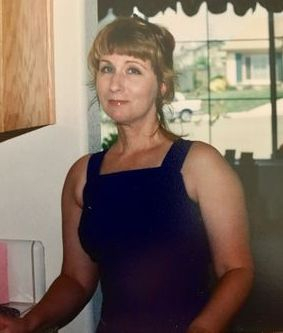 The simple rule of thumb for sizing vintage patterns or clothing for women is to take your current dress size and double it to estimate vintage size. Many online sellers give fair warning about the difference between Vintage and Vanity Sizing. As for this essay, it’s all sewn up! The real sewing project has yet to begin!